Today is gorgeous! I hope all of my Rhode Island readers got to enjoy today! I’ve been on the road today on the travels to pick up the perfect bassinet for baby Ivory! I will have to share with you all once the nursery is nice + set up! It’s amazing because we had the same exact one in our family for years and unfortunately it was given to a family baby years ago! But we found the same exact one + it brings back so many memories of my childhood! Before we jumped on the road we picked up my favorite iced coffee- Felecia’s! I absolutely cannot stand driving, so I gave into my caffeine craving + got a small iced piece of heaven! 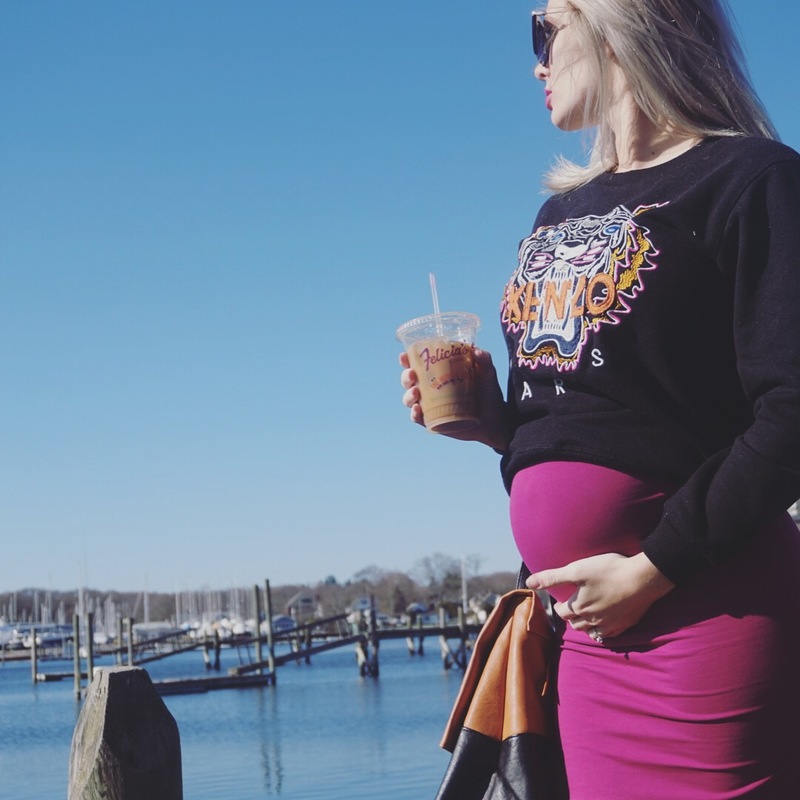 This morning it was chilly so I decided to throw on my favorite sweatshirt before my big belly can’t fit into it! I’m 90% positive this KENZO sweatshirt isn’t authentic because I thrifted it in the city for a pretty decent price! 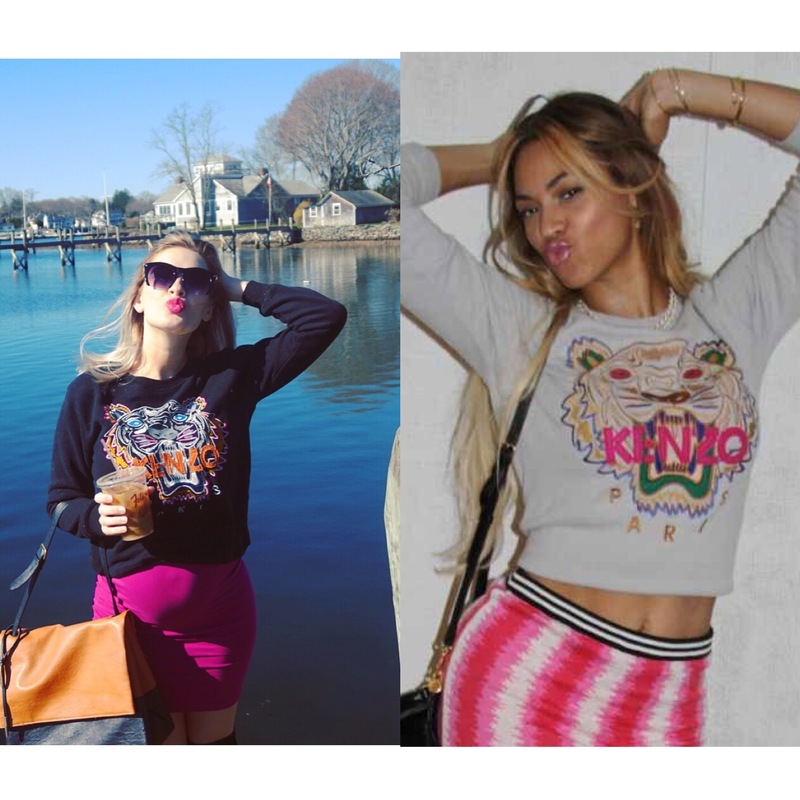 Regardless I was inspired by the Kenzo + skirt look that I saw Beyoncé in a few years ago! Bey paired hers with a pencil skirt as well, I just have a baby in my mid-drift haha! I’m off to enjoy the rest of this sunny Sunday!